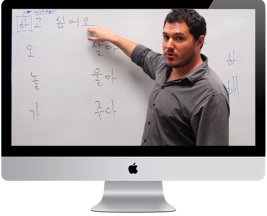 In this level we're looking to go deeper into conversational Korean and learn some very valuable skills to help us do so. The first half of the course is going to focus on what I consider to be the absolute most important skill you can have to cross the bridge into "conversational" - verb conjuguation (sounds exhilarating I know, but it won't be so bad) - and we'll leverage very common conversational questions to help us practice. From there we will transition into some more very useful structures, tenses, and few more complex structures that I also think you'll find really helpful. Class #20: What should we do? Class #21: How is living in Korea? Class #22: May I go now? Class #23: How long have you lived in Korea? Class #24: You're bored, you say?